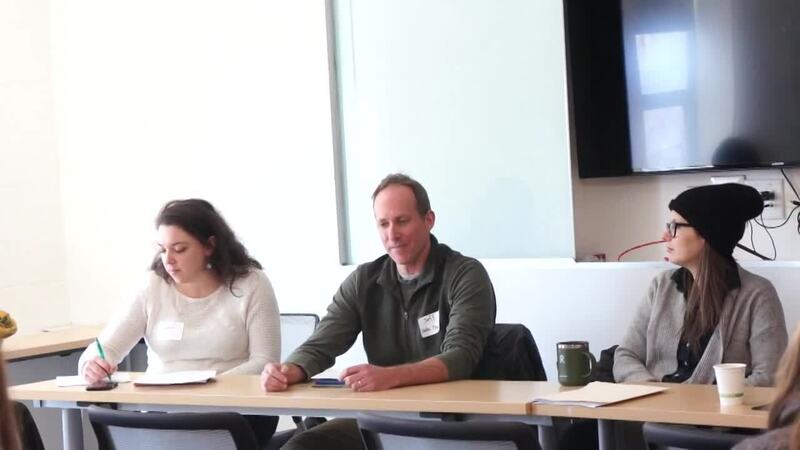 To start off the day, Jeff spoke on the "Success Stories from the Field" panel about building and maintaining successful trade relationships between producers and buyers in the local food system. Listen to Jeff talk about how buying lettuce has changed for Boston Organics since starting the company in 2002. The Boston Organics team connected with local producers we had never worked with and producers that we have forged a strong relationship with! We regularly communicate with Gideon (pictured below) and Troy from Atlas Farm in Deerfield, MA. We were able to catch up with Troy to see how everything was going on the farm. Are there any updates in your farm operations? This past fall, Atlas received an MDAR grant to buy a brand new, upgraded brusher washer line (We congratulated them on social media in January). It is made of stainless steel for improved cleanliness and is an upgrade in size to increase our efficiency. We are constantly adjusting our crop list and plantings to try new things, and this season we will be adding some items and removing some others from our crop plan as we try to lock in the best and most efficient crops to grow (mostly for our retail outlets). Do you have any new partnerships or missions that you’re implementing? In 2019, Atlas Farm hopes to expand our wholesale customer base to serve more colleges and schools throughout the state. The colleges in the area serve massive amounts of food every year and many are looking at more local, sustainable sourcing. We are hoping to find some new partnerships to do business with. We are continuing to work on ways to decrease our waste and increase our sustainability. We are very near having 100% of our electricity use powered by solar, and are looking at a biomass wood burning system to heat our greenhouses and buildings. Wood is a renewable resource and very plentiful in New England, and we will source only sustainably harvested or salvaged wood products. We are always looking at our operations to find ways to decrease landfill waste, and recycling/composting are a big aspect of our farm operations. How do you like working with Boston Organics? 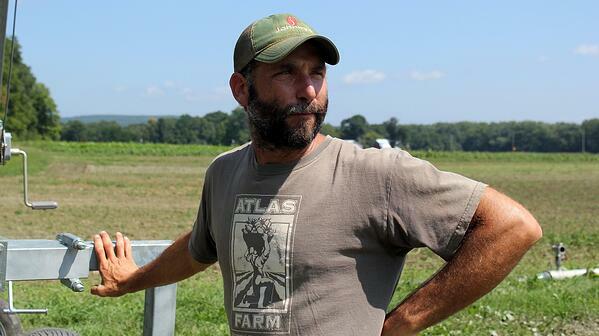 Boston Organics has been partnered with Atlas Farm for many years and have always been one of our favorite and most important customers. They are extremely supportive of local farming and, unlike many produce buyers in the region, really work with us to move product when we have excess produce. The flexibility Boston Organics allows us, through the ups and downs of the growing season, is fairly unique and very beneficial for us. Have you been a Boston Organics customer since 2002? Comment below!